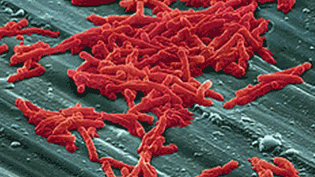 BERLIN, Germany — In Europe, Clostridium difficile infection is misdiagnosed in 23% of patients, according to a new study, which can lead to inadequate treatment and failure to institute infection control measures. A recent study conducted in Spain suggested that C difficile infection is underdiagnosed in 25% of cases. “The idea for our work was that we would take that model and expand it out over all Europe,” Kerrie Davies, MSc, a doctoral student at the University of Leeds, United Kingdom, told Medscape Medical News. Davies presented the study results here at the 23rd European Congress of Clinical Microbiology and Infectious Diseases. For each of the 20 participating countries, the researchers recruited 1 hospital per 1 million people. Data collected from each participating hospital included method of laboratory diagnosis of C difficile infection, criteria for testing and reporting, local rates of testing, and positive case rates of C difficile infection.